A perfect representation of the desert. Dry. Blue. Timeless. Such vibrant colors of red earth and blue sky! I can almost feel the heat... love your haiku today! I have come to appreciate the places on earth that bear no footprints. It is 97 right now!! Vast, beautiful, and unmistakeable. 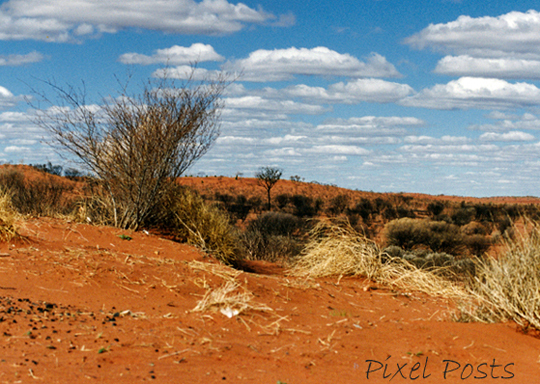 Your haiku describes the beauty of the outback so well.